Today is a sad day in Tinseltown. 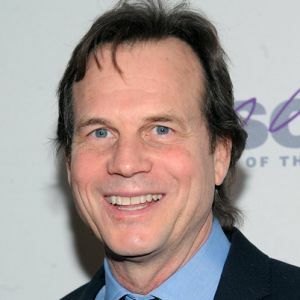 EarHustle411 is saddened to report the death of veteran actor Bill Paxton at age 61. Paxton’s death comes as a shock to Hollywood, he recently had surgery and died as a result of complications of the surgery. Paxton’ s list of roles is as long as it is impressive. He received an Emmy nomination for his role in the TV mini-series Hatfields & McCoys but his most notable character was Weird Science the 1985 film that made stars of pretty much the entire cast. He also has a role in a famous film filled with some awesome actors as well, the 1993 film Tombstone where Paxton played Morgan Earp, the brother of famed lawman Wyatt Earp. No doubt Paxton’s death while sad, one thing is for sure is this amazing actor, husband and father will be sorely missed by all who knew and loved him. His presence will be missed on the silver and small screens.